The American Healthcare system has grown more convoluted and difficult to navigate since reforms that began in the late 1990s. Legislators have increased regulation and third-party players, while allowing private companies to make enormous profits at the expense of Americans struggling to pay for their own care. This has yielded a wide range of problems – Bloomberg reveals our system today wastes money and misses the importance of prevention. To remedy these issues, many things need to change, including new laws and consumer participation, but some companies are taking matters into their own hands. Three American business giants, Amazon, JPMorgan Chase, and Berkshire Hathaway are forming a coalition that will take a stab at simplifying care. They’re not the only ones: other tech companies including Apple are venturing into the health sector as well, with the same goal of streamlining. While details on the Amazon deal are sparse, the move still gives the new conglomerate huge power from the start, and will certainly have implications for doctors and patients alike. Here are five ways the health sector may change due to this trend. Because Amazon is a player in this developing independent company, many are expecting the company’s founder Jeff Bezos to reduce the health system’s dependence on human workers. One of the main goals of the collaboration is to cut costs, which are significantly higher in America than other countries. The area where automation is most likely to come into play is electronic health records. Currently, collecting patient data is burdensome and takes up a lot of physicians’ time. If artificial intelligence can replace these intake workers, electronic records can be created and shared quickly and cheaply. Of course, some suggest that even physicians will be replaced with artificial intelligence, especially since machines have recently been developed to accurately identify cancers. While some radiologists and pathologists may find their work combined with technological methods, primary care physicians will be much harder to automate. One Amazon analyst, Sucharita Mulpuru, claims its simply impossible for Amazon’s Alexa to replace your doctor. Robots can suggest drugs to take, but a doctor must diagnose and prescribe, and that process won’t change unless regulation does. Therefore, she doesn’t believe that most physicians need to worry about their jobs becoming obsolete anytime soon. In studying our system’s problems, experts have pointed out that Americans spend inordinate amounts on treatment and symptom relief, but less on preventive care such as screenings, which often provide better return on investment. Gil Irwin, a strategist at consulting firm PwC, told USA Today that Amazon is known for analyzing and maximizing use of consumer data. Consequently, as the company participates more in the medical field, companies will likely start to keep tabs on their clients’ health habits. For the average consumer, this means it may be commonplace to get an ad or email offering cough drops a week after you visited the clinic. Your insurance company, who now works with your provider and the medicine retailer, can share data quickly, and all companies involved will use these collected trends to maximize profit. CVS exemplifies this already: customers can visit a CVS Minute Clinic, get medicine prescribed, and pick that prescription up at CVS. Some say this will improve health for consumers. Data on customers can help companies push patients toward making the right choices, such as purchasing a recommended drug. Advertising may target those who recently searched for weight loss tips, pointing consumers toward wellness options they weren’t previously aware of. Another goal of the companies challenging American care is to eliminate unnecessary middlemen. One example of this is Pharmacy Benefit Managers, or PBMs, which are uniquely American third party players in the system that are hired to deal with all pharmacy benefits for a given insurance plan. Recently, PBMs such as Express Scripts have been involved in mergers, meaning companies will no longer need “bridges” between pharmacy retailers and health insurance providers – both will be run by the same company. In other words, healthcare is becoming consolidated. 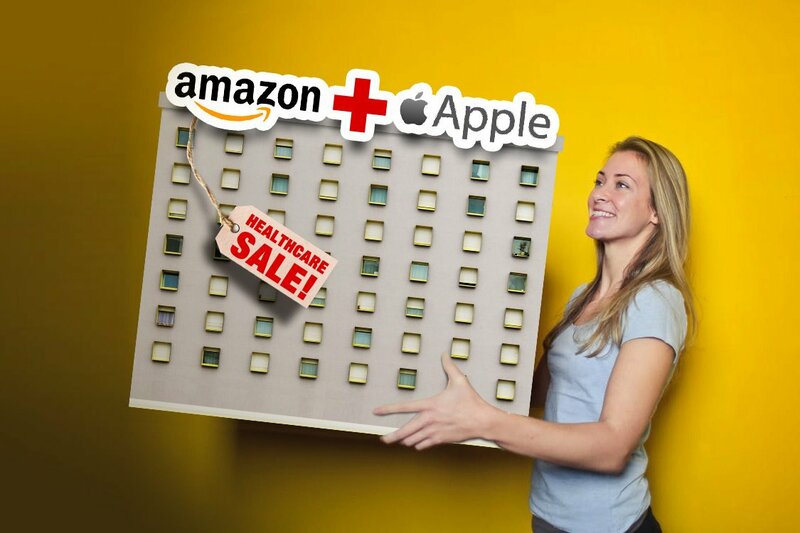 The buy-outs shaking up the health industry are examples of vertical consolidation, meaning companies are buying out middlemen and suppliers, not their competition. The net effect of this kind of consolidation is more power given to a select few companies. Since Amazon and CVS will control each step in your medication’s journey from factory to your medicine cabinet, the companies can control your health habits by making certain choices cheaper or more convenient. A possible implication of this for insurance providers is incentive to limit the number of drugs covered by each health insurance plan. Bloomberg explains currently, PBMs do better as companies when more people use tightly-controlled drug plans. Now that insurance companies are working with PBMs, they may start forcing their enrollees to take only brands that gave the PBM a discount, for example. Privatized medical care offers something all Americans can get behind: more attention paid to patient satisfaction. Currently, providers are paid a fee for care, regardless of whether or not the care works out in the end. Berkshire Hathaway, Amazon, and JPMorgan are expected to challenge that norm by tying payment to quality of care. Since insurance companies have power over the doctors we see, if provider networks only include doctors with proven success rates, care quality should improve over time. Ultimately, the newly-consolidated health care sector should be easier for Americans to navigate, made up of fewer players, each armed with more resources to make us well.